OK Kosher is the world’s leading orthodox kosher certification agency – recognized as the global benchmark for kosher standards and integrity. This outstanding reputation has been achieved through continual improvement and innovation, as well as through first-rate customer support. 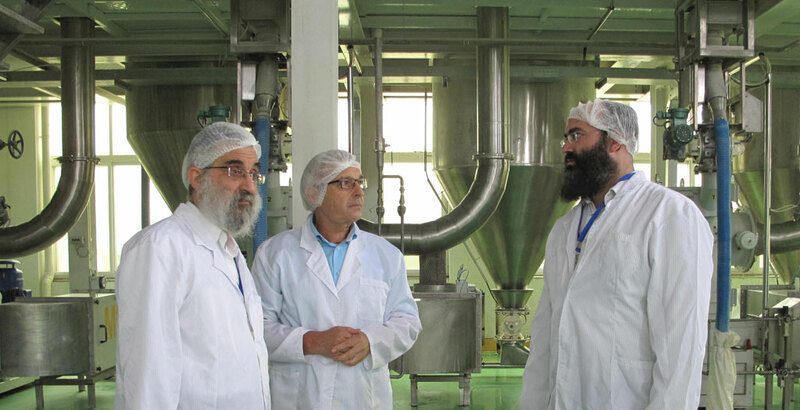 OK Kosher operates an international network of offices, so you can rely on our teams of experts to provide specialized kosher certification anywhere in the world. Our certification services enable you to demonstrate to your customers that your products, processes, and systems are compliant with the highest standards and regulations. The OK kosher mark is one of the world’s best-known trademarks; it immediately and universally increases company marketability, accountability, and kosher acceptability. With our unparalleled knowledge, integrity and experience, OK Kosher sets the bar when it comes to kosher certification standards. Since 1935 OK Kosher has been well regarded for its unique approach to kosher certification, technology, and innovation in the continually evolving food and beverage industry. OK Kosher’s mission is to certify, educate, advocate, and promote kosher. We aim to be the most productive and competitive kosher service organization in the world. Our teams use personal expertise to serve our clients with innovation and superior customer care. In this way, we strive to bring an ever growing selection to the kosher consumer with uncompromising kosher standards. OK Kosher Certification means the highest standard of kosher, built on a deep level of trust between manufacturers, producers and consumers. We believe passionately that kosher laws form a crucial part of an all-encompassing life of integrity. This belief guides us in all that we do and is the foundation upon which our organization is established. Our standards of kosher and customer service are being continuously upgraded to remain best-in-class. They are at the heart of what we are. For further information, please visit our benefits page.